1. Keep vegetation away from your house. Limbs, leaves and bushes that overhang or touch your home are a path of entry for everything from roaches to squirrels. 2. Move wood piles and debris away from the house. These moist areas create a perfect habitat for insect and rodent populations. 3. Seal off points of entry. Insects, mice and birds enter your home through the smallest openings. Caulk openings near utility pipes and wires. Look for daylight around exterior doors and windows and make sure roof ventilation openings are properly screened. 4. Dry up the wetness. 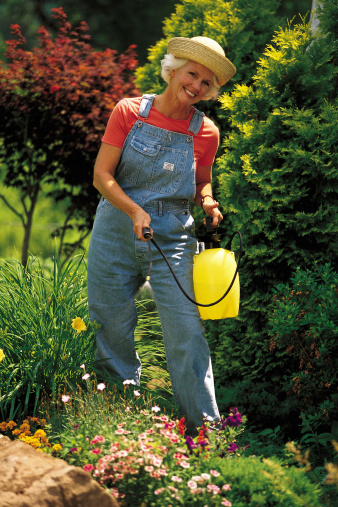 Many pests seek out moist areas. A moisture level of more than 19 percent in your crawl space or basement is high enough to attract termites. Check under cabinets and appliances for small plumbing leaks. 5. Store food securely. Don’t leave food out, even the pet food. Ants, mice and roaches are all attracted inside by easy food sources. 6. Keep things neat and clean. A good cleaning routine that keeps crumbs vacuumed off the floor, spills cleaned up and counters wiped eliminates an easy food supply for insects and rodents. And if these pests have no reason to be there, neither will their predators – spiders and snakes. Inspect for and address these areas and you can significantly improve your situation by purely natural means. If some pests still remain, a pest control professional can exterminate the rest and you’ll enjoy living pest-free.